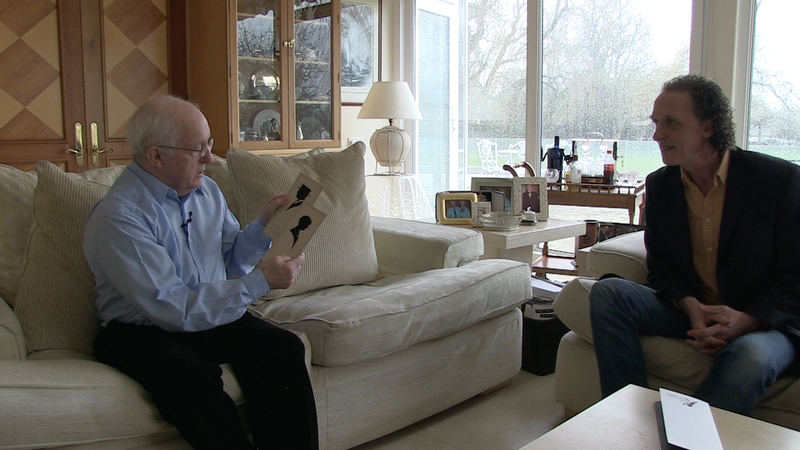 Our film Silhouette Secrets includes a cameo appearance by Paul Daniels. This interview – our Paul Daniels cameo – was a late addition. We were looking for a magician to talk about Dai Vernon, the celebrated father of close-up magic, who earned a living as a street silhouettist during the Great American Depression. Looking for a Vernon silhouette? 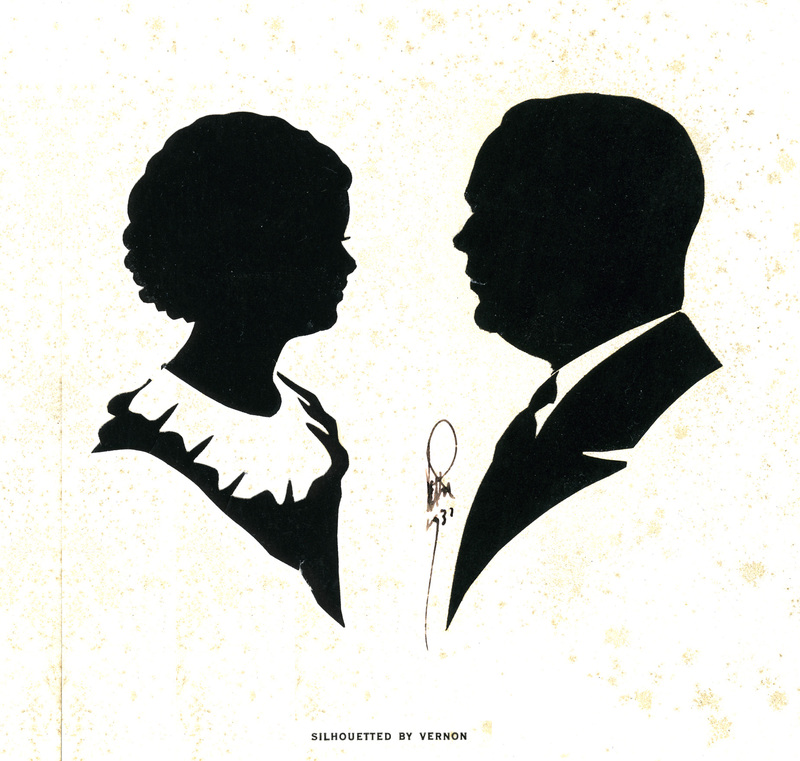 Today, Vernon silhouettes are collector’s items, fetching hundreds or even thousands of dollars at auction. This interest is mostly driven by collectors of magic memorabilia, rather than by collectors of silhouettes. Vernon described himself as “the man who fooled Houdini”. He did this with a simple card trick. Vernon revolutionised the art of the card trick, discovering many slight-of-hand techniques still widely practiced by magicians today. Vernon earned his living by setting up a street stall, in whatever town he happened to find himself, and cutting silhouette portraits for a few cents a time. Legend has it that during the 1930s he worked under a sign saying “No Depression Here” and invariably had a ready supply of customers. I immediately thought of Paul Daniels as being the right person to introduce Dai Vernon. But how to reach him? 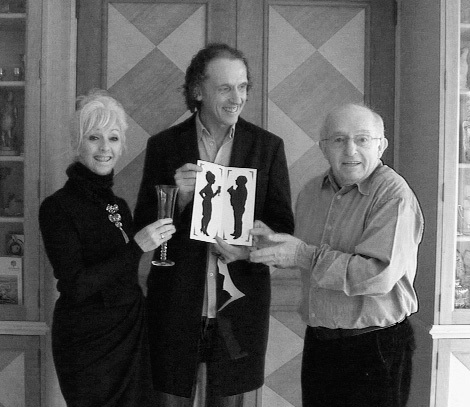 I had worked with Paul Daniels on a number of occasions over the years, including at a memorable magician’s wedding in Spain. We stayed at the same hotel there and I had the chance to get to know him a little better. The trouble was, I didn’t ask him for a card. Somehow that doesn’t seem like the”done thing” when you meet a man like Paul Daniels. In Spain, I was really impressed by the way Paul had time for everybody. Walking across the hotel lobby, full of English tourists, people would stop and point: “isn’t that Paul Daniels?” Every time this happened Paul would stop, engage them in conversation, and find out where they were from. Later, in the bar, he would even do a trick or two, to the astonishment and delight of everybody there. He seemed to be the living embodiment of his TV persona. That would be my cue to whip out a pair of scissors and cut a silhouette. People were very polite and kind about my silhouettes, but what they really wanted was to bask in the presence of Paul Daniels for a minute or two longer. It was a lesson that went straight to my heart. “That’s how to be famous”. I thought to myself. As a roving silhouettist, I’m well aware that I’ll never achieve the kind of fame Paul Daniels achieved. But (let’s face it, the world is a strange place) if ever I do, then that’s how I’ll aspire to behave. My abiding impression of Paul Daniels is that as an old man he enjoyed every minute of every day, every interaction with everybody he met. What a wonderful way to live! The reason he found people everywhere to be nice is because he himself was nice. When we came to make the film I tried reaching out to Paul on Twitter (of which I knew he was a fan) but my messages got swallowed up amongst the thousands others on that platform. I didn’t quite know what else to do. I’d almost given up when I received a call from BBC Berkshire. They wanted me to appear on the radio and give an update on my world record speed-cutting challenge in Houston, Texas. 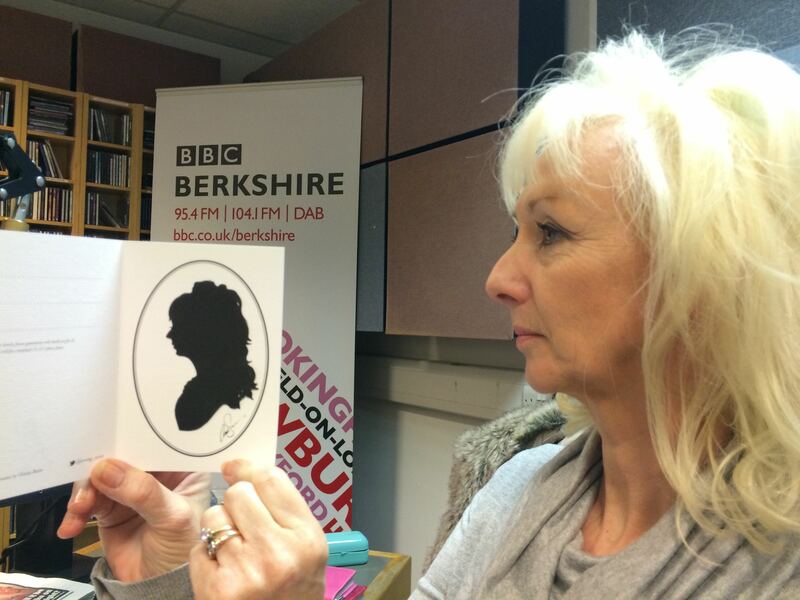 They asked if I’d be happy to talk about it on the Debbie McGee show, and perhaps cut a silhouette of her, live on air, at the same time. At that time, the film editor and I were were conducting a long-running debate about how to present my speed-cutting adventure, or even whether to include it in the film at all. There had been an unfortunate miscount at the event: the organisers first announced me as the new world-record holder and then afterwards decided I wasn’t. They accused me of cheating and refused to have anything more to do with the film! It had all become a bit awkward. How could we present that in the film? How could I talk about it on the radio? However, I couldn’t pass up the chance to meet Debbie McGee. I decided to attend and ‘wing it’. In the end, the interview went well and I cut a good “radio silhouette” of Debbie McGee, which they put up on the Radio Berkshire Facebook page. Whilst off air I took my chance and asked Debbie if Paul might be interested in appearing in our film. and she gave me his mobile number. A ew days later Paul and Debbie warmly welcomed myself, our editor and cameraman into their home, to shoot our Paul Daniels cameo. As cameras were set up and sound checks made Paul chatted to us about his theory that when something is “in the air”, it just happens. His mother used to say that when a name pops up in conversation, you always hear it again within 24 hours. Witness my phone call to Paul; that very evening he had opened one of his many books on magic, and there was one of Dai Vernon’s silhouettes. He couldn’t believe it! The book was there on the table to show me. I brought with me a pair of Vernon silhouettes to ask him about, but Paul seemed more interested in ruminating on the strange workings of coincidence, and the way that Vernon and his silhouettes seemed to “want” to be spoken about. His thoughts were so rambling that I began to wonder how we’d get a coherent minute or two of interview footage out of him. I needn’t have been concerned. As soon as a the camera rolled Paul switched to professional mode and gave us exactly what we needed in the first take. He knew just what to do. We did ask some further questions, and shoot some extra footage, but Paul was right. We didn’t really need it. What Paul gave us was slightly surprising and not at all what I expected. 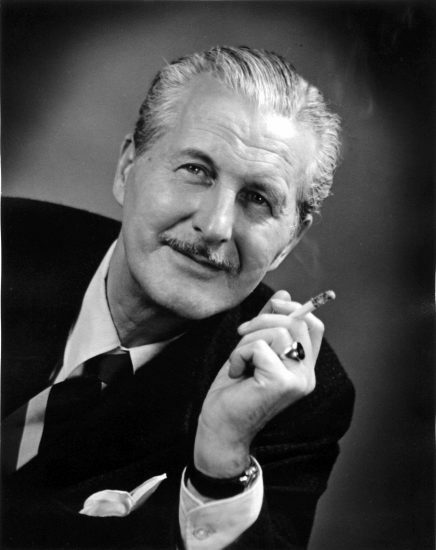 I had always regarded Dai Vernon as a brilliantly talented magician who struggled to earn a living from magic, due to the times he lived in, and so earned a living as a street artist instead. Paul clearly had a great affection for Vernon, and loved imitating the way he spoke, but seemed to think that the truth was actually the other way around. Paul described Vernon as “something of an oddity” and felt that he succeeded as a silhouettist because that was what he was really good at. As a professional magician, despite his obvious passion, Paul felt he just wasn’t quite good enough. Sadly, Paul Daniels did not live to see the finished film. He did. however , see the ‘almost finished’ cut which we screened in my studio a few months later. I ended up telling the audience the whole story about the speed-cutting event, and all the bad feeling which followed. It sparked quite a debate! Paul was vocal in his opinion that we simply had to include whatever took place on the night. This was the footage we shot, so that’s what we had to show. If the organisers objected then, well, let them object. A little controversy never hurt any film, and might even do us some good. The audience needed to know if I could cut it. We decided to follow Paul’s advice, which was both apposite and clearly based on years of TV experience. The result is the film you can at last see today on Amazon. The final cut owes much to his vision, encouragement and common-sense advice. Even the organisers of the speed-cutting event came round in the end, and the film won “Best Documentary” at a Houston film festival a year later. We had approached Paul Daniels asking him to make a brief cameo appearance, yet ended up getting far amore than that. I’ll be forever grateful.